My morning routine is wake up, do face, drink coffee. It’s not complicated. The face part is less complicated than the coffee part. 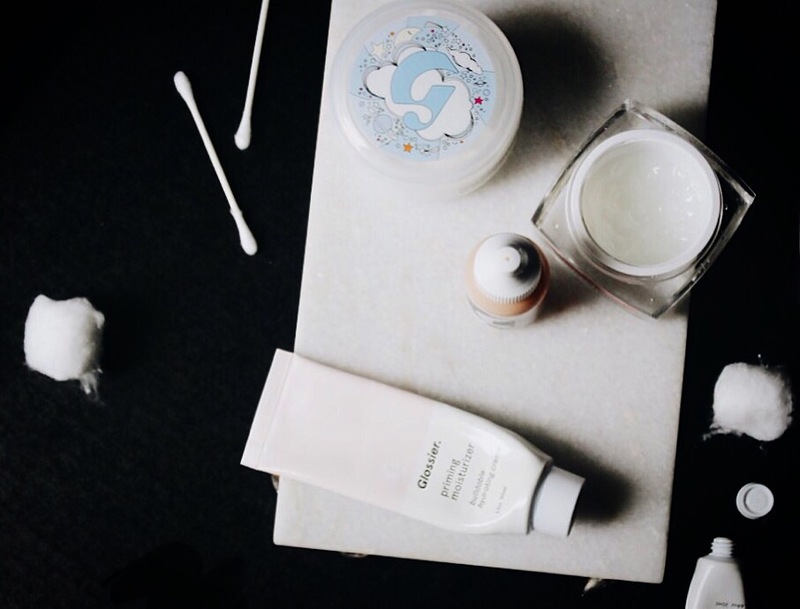 Getting ready for the day is crazy easy because I use the Glossier trio which takes about twenty seconds. Some time ago, I found a bizarre Chicago Tribune article from the ’50’s where Lillian Gish, silent film star extraordinare, described her beauty routine. It included ideas like a “Beer Cure” diet to gain weight that I completely disregarded. It also mentioned Gish uses almond oil regularly before bed– something she learned from her mother. The image stuck with me. 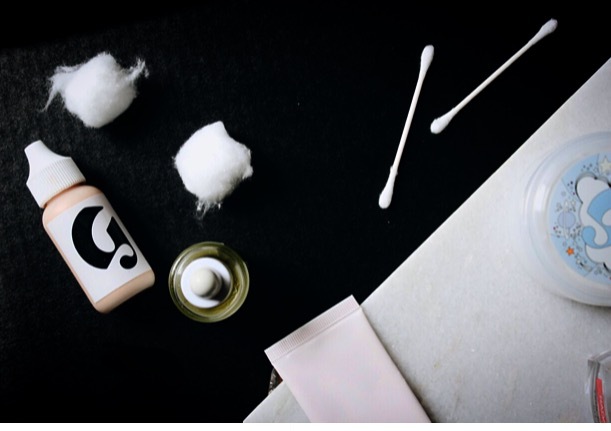 Flash forward to learning about Emily Weiss’s initiative to found Glossier (A year ago!) out of her beauty obsession. I met Weiss in L.A. during their Santa Monica pop-up shop. She was a joy and a pleasure and the coolest of the cool. She told me moisturizing was the most important part of a skincare routine. I left with the entire line of products and, have since, never gone a day without them. Whenever I use Glossier’s Moon Mask, I wonder What is in this Witchcraft? It’s like a cozy blanket for my face. What’s in it is a lot of goodness, but the first main ingredient is almond oil. My beauty destiny has come full circle! Kind of an irrational though as almond oil is in all sorts of skincare products… but still.. The Moon Mask makes me feel like I could, if I felt like it, conquer the silver screen. And here is where I realize I’ve written an entire post about my morning routine on the face mask I use each night. What? Oops? But f’real, it is the product I’d recomend most from the list of my favorites below. They’re amazing. Buy them all so you can be just like me! Jk. But if you’re looking for change, this list is a good place to start. Cetaphil Gentle Cleanser 2. Glossier Hydrating Face Mist 3. The Body Shop Vitamin E Hydrating Toner 4. Boots bontanics Face Oil 5. Hada & Labo Skin Plumping Gel 6. La Roche Posay Effaclar Duo & Effaclar Mat 7. Glossier Priming Moisturizer 8. Glossier Skin Tint 9. Glossier Balm Dotcom 10. Glossier Moon Mask . 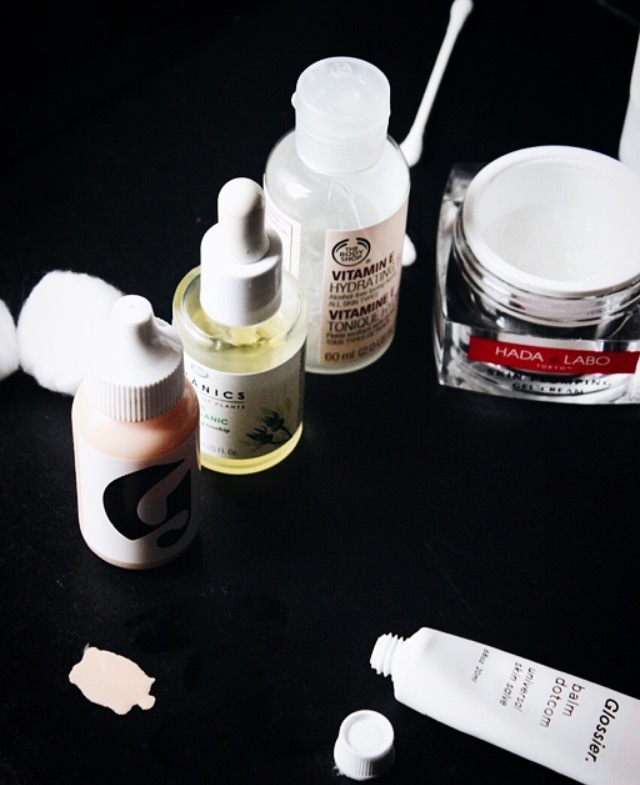 You are currently reading Morning Routine ft. Glossier at .